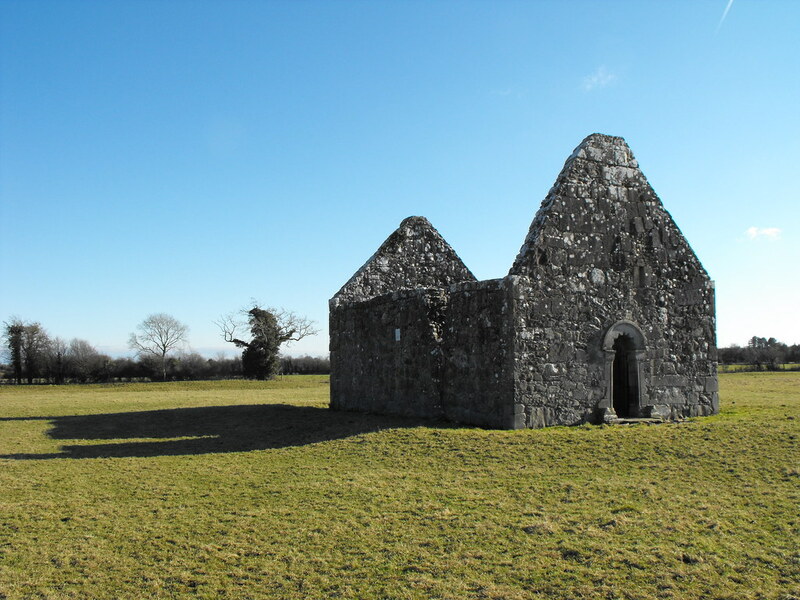 The Standing Stone: Rahan, Ecclesiastical Complex, Church 2, Co. Offaly. 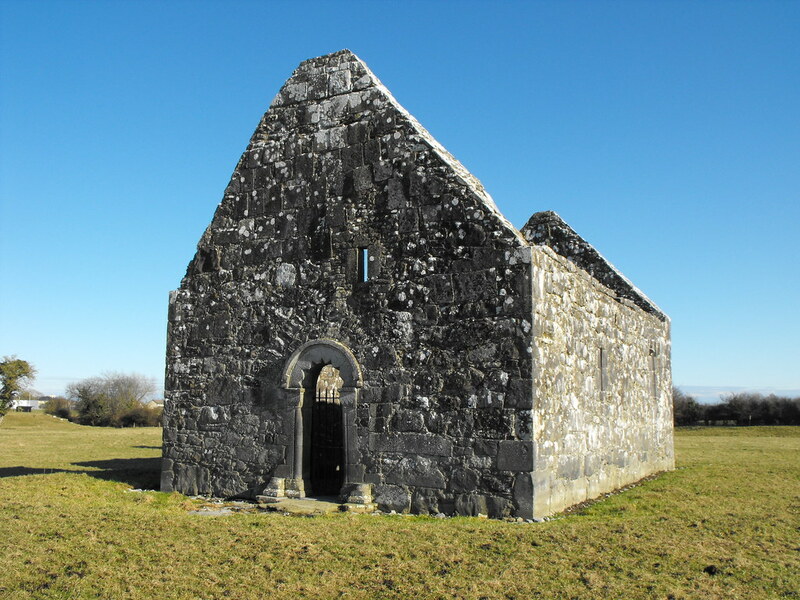 Rahan, Ecclesiastical Complex, Church 2, Co. Offaly. 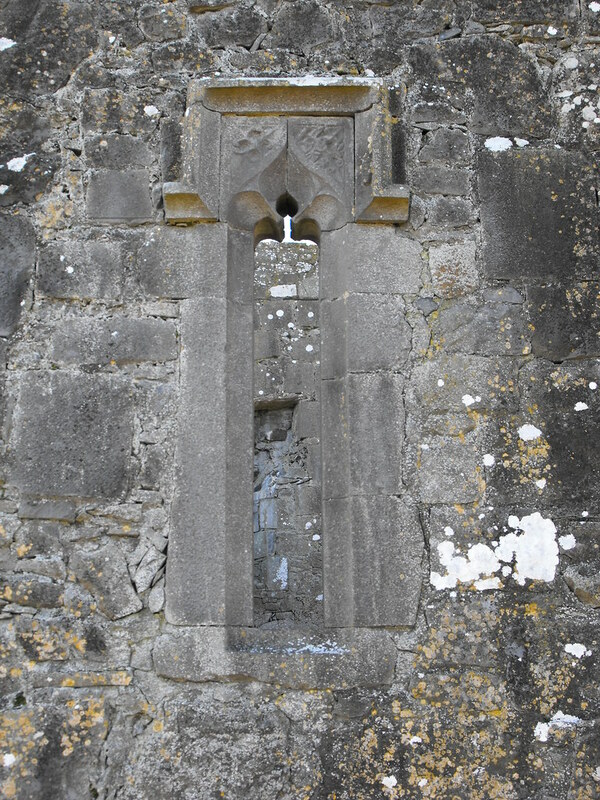 Description and History - It was constructed in the late 15th century but incorporated elements of an earlier structure as is evidenced by the fine Romanesque doorway. 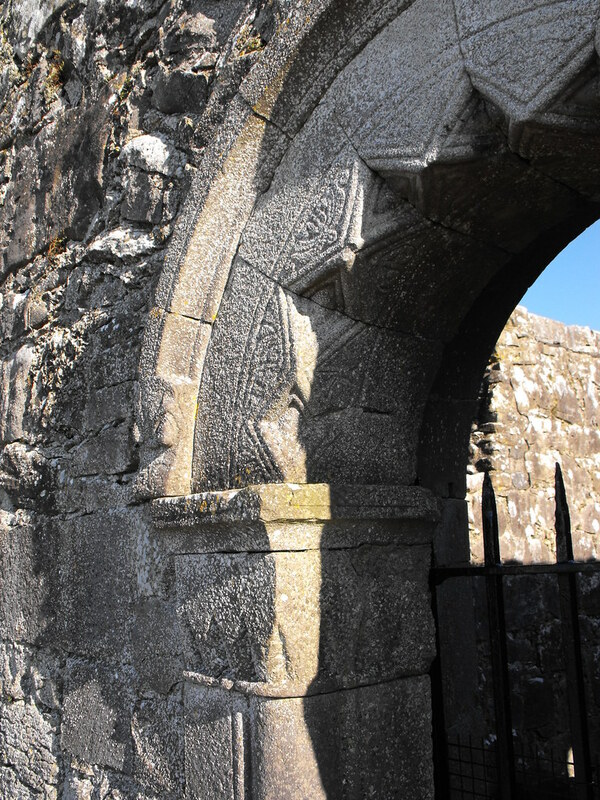 The doorway may have come from the same original structure as the arch and window of the rebuilt Protestant church but is likely to be slightly earlier in date than the arch and window. 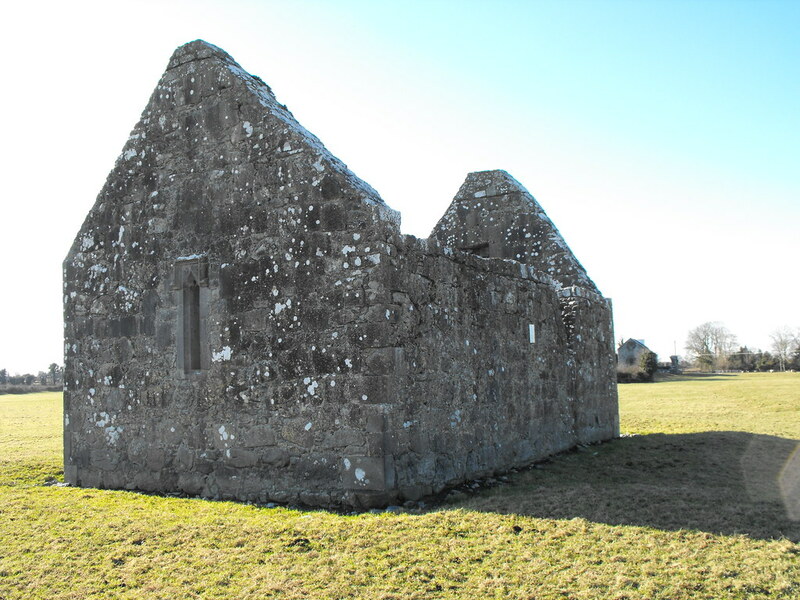 In 1696 the church was in disrepair and its shingle roof was moved to Lynally. Difficulty – Easy to spot in the field. Mind the cows. 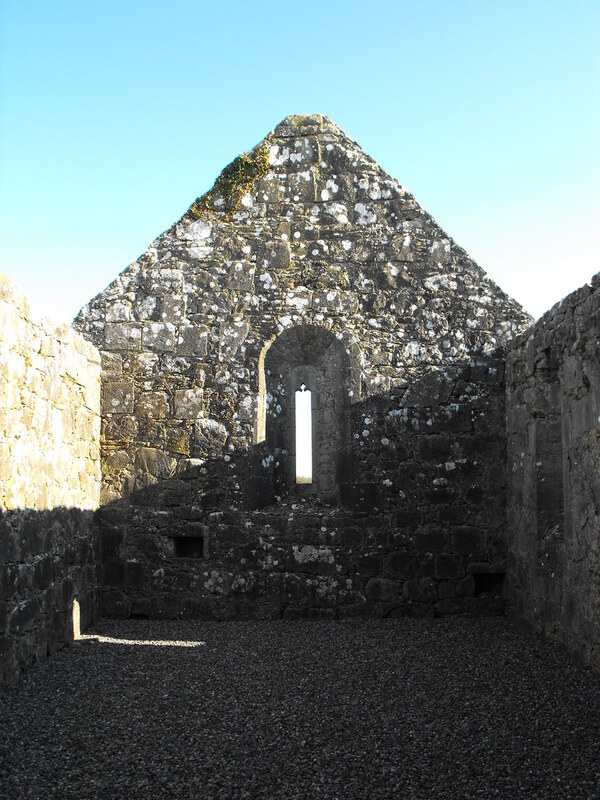 View of the rear of the church. 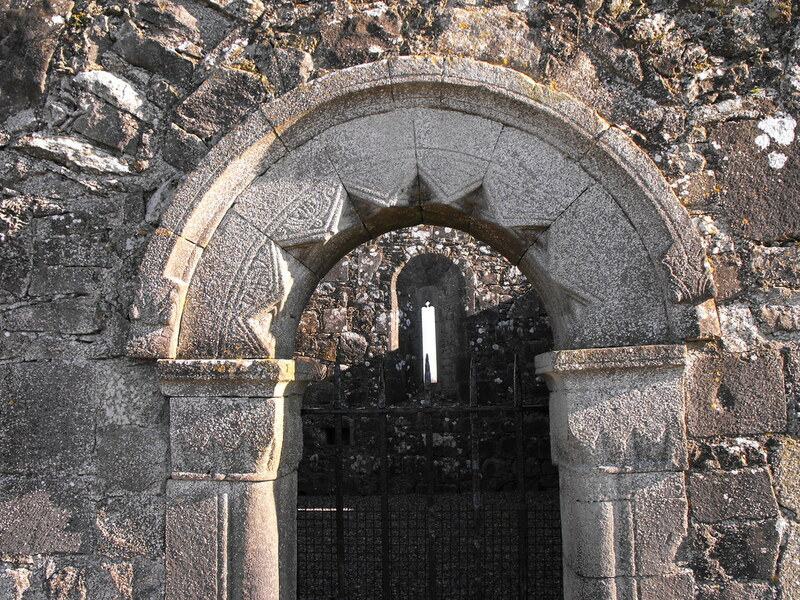 Detain of the Romanesque doorway. 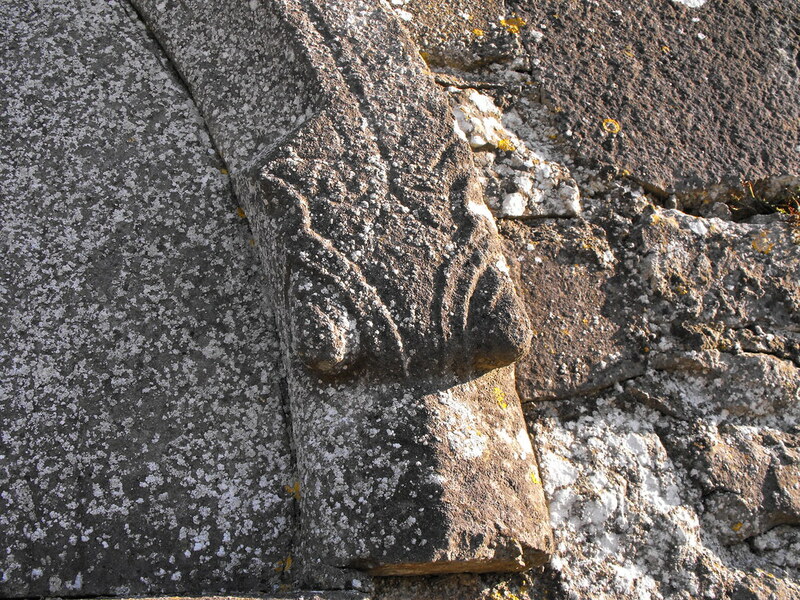 This appears to be an animal head, possibly a horse. 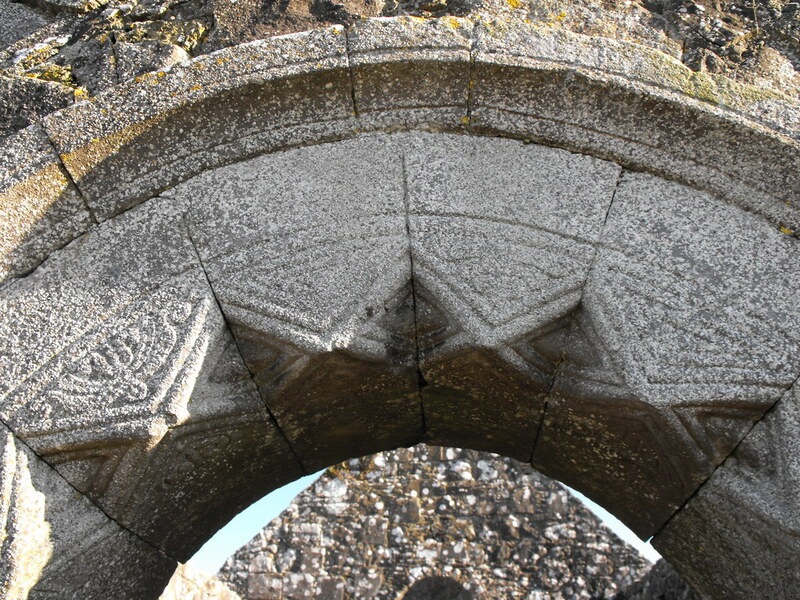 Close up of the capital on the doorway. There really are some beautiful chevron and floral patterns here. 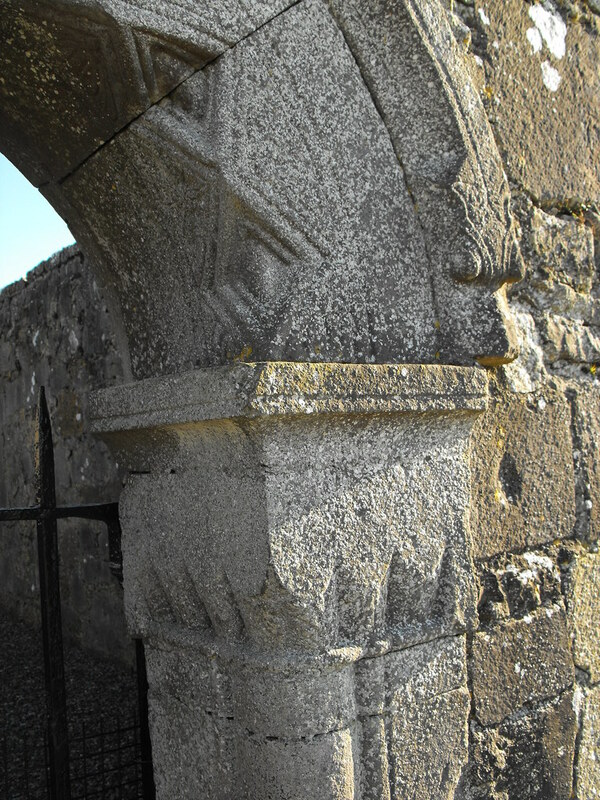 Close up of the other capital. 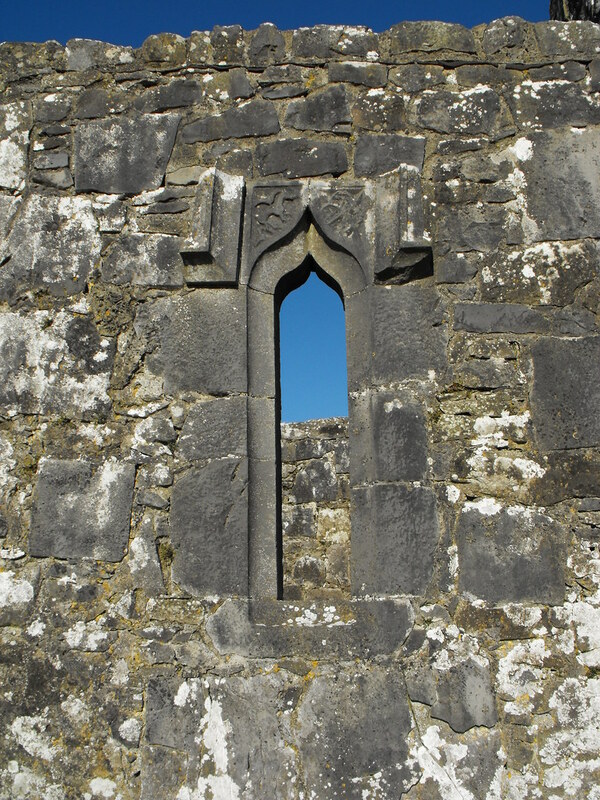 One of two medieval windows at the site.